White Cleaning Services is proud to serve the Greater Seattle and King County areas since 1995. Glenn White and his staff operate this carpet cleaning company in Normandy Park WA. 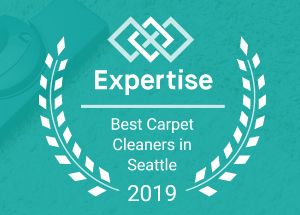 We love working with businesses and homeowners alike, giving them top quality carpet cleaning, upholstery cleaning, and even floor tile & grout cleaning services at a reasonable price. We utilize truck-mounted hot-water extraction, commonly referred to as “steam cleaning”. Our steam system removes dirt, odors, spills, and spots. Our hot water is heated up to about 212 degrees and combined with our gentle cleaners to eliminate germs and bacteria. Our carpet extraction equipment and our vast experience in carpet cleaning make us the perfect service for offices and professional facilities. Heavy traffic areas, small or large office spaces, and even spot removal are all well within the scope of what we do. If you have office upholstery cleaning needs---Great News!---you don't have to call in a separate company. White cleaning services can give your business a clear quote on any carpet cleaning and upholstery cleaning service. Keep your customers impressed and your employees feeling productive with cleaner, more properly maintained carpet! Our high-level of carpet care works just as well for our homeowner customers. You may need your carpets cleaned and maintained less often than a high-traffic business, but when it's time to get your carpet back into shape, we're ready to help. Carpet cleaning, upholstery cleaning, and even tile and grout cleaning can be done separately or even bundled together to make your home as clean as can be. Restore your carpets, furniture, and hard floors today with White Cleaning Services!